Get web maintenance off your plate. With our web support packages, you receive day-to-day web support, training, maintenance, and updates to keep your website running seamlessly. Our web support packages are customized to cover the level of service you need. Whether you need basic support or an ongoing web partner to help with landing pages, advanced coding, marketing, and more, we’ve got your back. Managing your website shouldn’t be a chore. 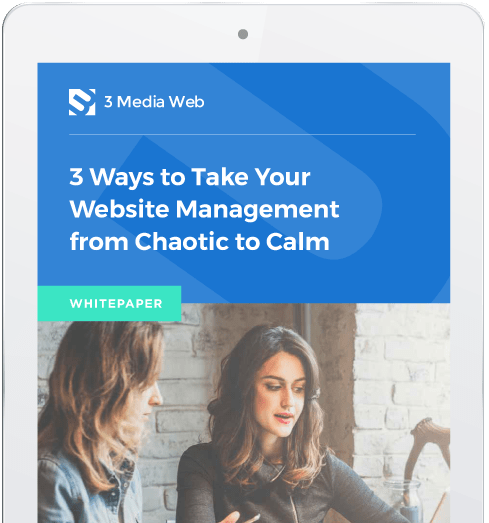 We’ve figured out how to take website management from chaotic to calm. Read our guide to learn more. Don’t worry. No silly forms to fill out. Once our website is done, who will update the software, security alerts, and WordPress plugins? When you hire 3 Media Web to become your dedicated external web partner and commit to an annual web support agreement, you will receive priority support throughout the year for changes and modifications to your website. 3 Media Web will also proactively monitor your site, check for WordPress security, bug, and feature-related updates, and apply those as needed. What if my website gets hacked? Who fixes that? I have no idea how to update my website. How do I do this? Luckily if you are a 3 Media Web web support and hosting client, your support agreement consists of enough hours to cover training. We know that if you’re not updating your site daily, it’s easy to forget what you may have learned after your site launch. If you get stuck on a task or forget how to update a page, give our support team a call, and we can refresh your memory. Or, if you are too busy, ask us to do it. How do I know how much traffic my website is getting? 3 Media Web integrates Google Analytics on all of the sites we build. We then give you access and can provide training on how to use your Google Analytics account. If you don’t remember how to access it, just give us a call — it’s covered under your support agreement with us. What does my web support package include? 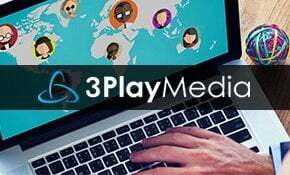 3 Media Web can also support you in the following capacities: design, WordPress, SEO, email, Google Analytics, and marketing support. 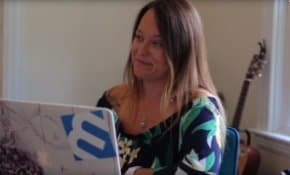 Examples include training, support on technical updates, plugins, integrations, email newsletters, social media integrations, form development, new pages, and more. Do you need help with web support? Looking for a quote? Fill out this form, and we’ll get in touch.